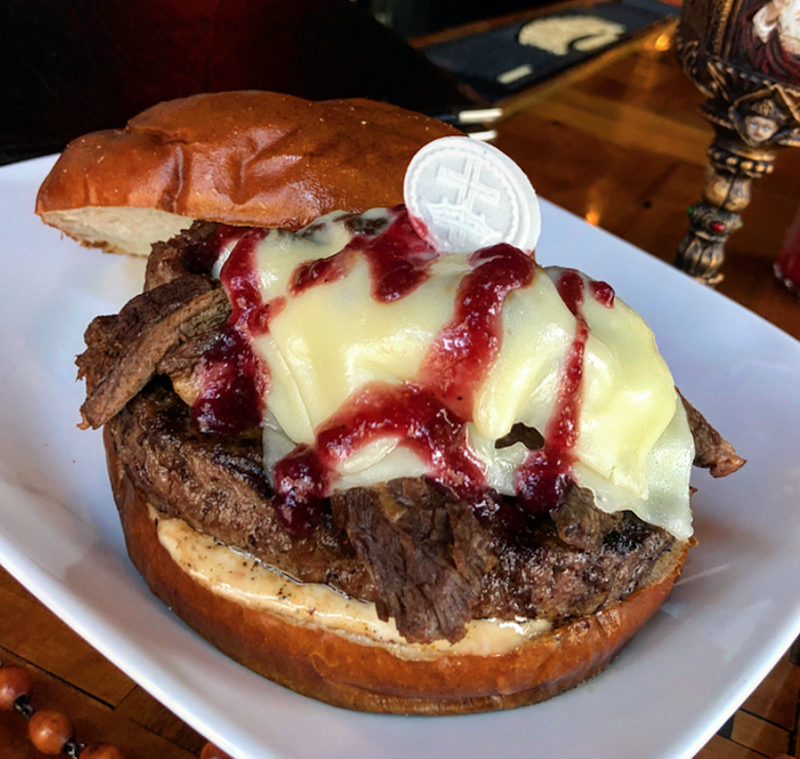 In the continued tradition of bolstering the legions of followers traversing from afar to kneel at the altar and partake of the ritual once again, we offer you the Ghost burger in all of it’s infamous glory. Available 4/18-4/20. First introduced to the masses in October 2013, the Ghost burger was named one of the most influential burgers of all time by Time Magazine (http://time.com/3681108/most-influential-burgers/) and called “Sacrilicious” by many devotees near and far. We’ll begin serving at open on the 18th and the burger will be available until we run out of product on the 20th. Exclusively at the original Kuma’s Corner.